Unarmed men, and unarmed nations, can only flee from evil. And evil is not overcome by fleeing from it. Sheep have only two speeds: graze and stampede. I have seen much war in my life, and I detest it profoundly. But there are worse things than war, and they all come with defeat. Both of these days began with fine weather and bright sunshine. Both days began with complacent Americans who planned to spend that day, and many subsequent days, in their usual, peaceful activities. Both days began with other people who had other plans. Both days ended with many Americans dead, and the rest awakened from their peaceful slumbers. December 7 was a Sunday. Some people slept late. Others went to church. Personnel at the U.S. Navy Base at Pearl Harbor, Hawaii and at Hickam Army Airfield were on their usual Sunday schedule. Sailors in dress whites stood at attention on the decks of battleships moored on battleship row, waiting for the band to strike up the National Anthem as the flag was raised. Out of a clear blue sky came Japanese planes filled with bombs and torpedoes. Yes, we knew that the rest of the world was at war. We knew that Hitler had renounced the treaty that ended World War I. We knew that he had enlarged the German armed forces and remilitarized the Rhineland. We knew that he had bullied France and Britain into handing him part, then all, of Czechoslovakia. We knew that he had invaded Poland and carved it up with Stalin, as if it were a piece of meat. We knew that he had conquered France in six weeks. We knew that he was bombing Britain and advancing across the plains of the Soviet Union. And we also knew that the Japan had conquered Manchuria for its resources. We knew that Japan had invaded China with startling brutality. We knew that Germany and Japan had big appetites and were still hungry. We knew all these things, and still we slept late that Sunday. We thought we were safe. September 11 was a Tuesday. In New York City, it was election day and the first day of school, so – providentially – many people were late for work. At the Pentagon outside Washington, people were prompt, as military personnel tend to be. Out of a clear blue sky came airliners filled with passengers and crew − and thousands of pounds of jet fuel. Before the day was over, almost 3000 Americans were dead, and others injured. The exact total will never be known, because hundreds remain missing in the debris of the collapsed World Trade towers. ● Sen. Robert Kennedy, the leading presidential candidate, was assassinated in 1968 by Sirhan Sirhan, a Palestinian American who objected to Kennedy’s support for Israel. The foreign-policy implications of the assassination were ignored. ● Our embassy in Iran was seized in 1979, legally an act of war. Our diplomats were imprisoned and mistreated for 444 days. President Carter dithered, then tried an underequipped, unsuccessful rescue attempt. The hostages were released the day President Reagan was inaugurated. ● The Marine barracks in Beirut was bombed in 1983, killing 241 Americans who were there to protect Yasser Arafat’s PLO. We fired a few shells into the hills, then withdrew. ● The USS Stark was hit by two missiles “accidentally” fired by an Iraqi plane in 1987, killing 37 crewmembers and wounding 21 others. Saddam promoted the pilot and rewarded him with a Mercedes. Our response was to appoint a commission to investigate. ● Saddam invaded Kuwait in 1990. We and our allies drove him out in 1991, but then a low-level conflict smoldered, with Iraqis shooting at our planes in the no-fly zone. ● The first World Trade Center attack occurred in 1993, when six died and over 1000 were injured, but the buildings did not collapse as planned. We treated the attack as an ordinary crime, and punished only those directly responsible. ● Our humanitarian mission to Somalia in 1993 resulted in the deaths of 18 soldiers, as described in “Black Hawk Down.” Some of the bodies were dragged through the streets. We promptly withdrew. ● Our embassies in Kenya and Tanzania were bombed in 1998 – again acts of war – causing hundreds of deaths. We treated the attacks as ordinary crimes. Much later, one man was convicted − of conspiracy, not of bombing. ● Suicide bombers attacked the USS Cole in October 2000 as it docked in Yemen. The ship almost sank, 17 sailors were killed, and many injured. We did nothing. We didn’t even pretend to do anything. We continued to doze in a peaceful stupor. But when history repeated itself, the price went up. The death toll on 9/11 was higher than in 1941, and unlike Pearl Harbor, most of the casualties were civilians. Moreover, we watched it on live TV instead of reading about it in the papers. The awakening was even ruder. But no matter how rude the awakening, there is always the risk of dozing off again. That is why modern alarm clocks, unlike the clocks in 1941, have a snooze button. Most modern Americans are unused to getting up early to tend farm animals. They are unused to going to bed early. They watch TV until late at night – not because it’s always interesting, but because it’s always available. Most modern Americans are more accustomed to being entertained than to facing unpleasant realities. We want quick answers to complex problems. Is the fanatical regime in Iran threatening to wipe Israel off the map, while mobs scream “Death to America”? 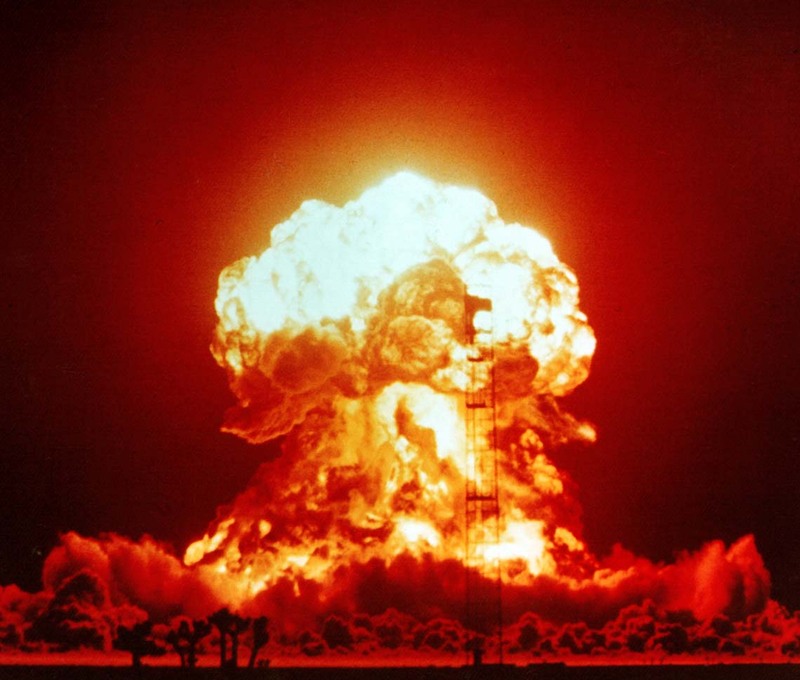 Is the regime developing nuclear weapons and the missiles to deliver them? Is it enriching uranium beyond what it needs for energy production? No problem. Get a meaningless “agreement” and wave it around like Chamberlain coming back from Munich – another quick “fix” for a crucial problem. And then, when Iran violates even this flawed agreement, ignore the violation. But there is a difference: The Munich agreement gave Britain time to rearm. This agreement gives Iran time to build nukes, while we continued to cut our military until Trump arrived in the Oval Office. To compare Obama to Chamberlain is unfair – to Chamberlain. We reverted to a 9/10 mindset in a 9/11 world. We are losing our ability to fight a determined enemy. We measure the war in weeks and months. Our enemies think in decades, even generations. We count our casualties by the month. Our enemies don’t count theirs at all. There are exceptions, of course. Military personnel, police officers, firefighters, and paramedics face unpleasant realities every day. It’s their job. But for many of the rest of us, a snooze button on the alarm clock is a necessary innovation. TV has shortened our attention span. Fewer of us read books or even newspapers. If our attention isn’t grabbed by a seven-second sound bite, our minds wander. With a TV, we simply reach for the remote and “channel surf.” Worse still, we play video games and ignore world events completely. But the world is not a TV. We have no remote control. Whatever degree of control we do have must be exercised on the scene, not remotely – and with difficulty and danger, not with ease. The world is not a modern alarm clock. There is no snooze button. If we are so lazy and careless as to go back to sleep after the alarm has sounded, there is no device to awaken us again. Enriched uranium in Iran? What, me worry? 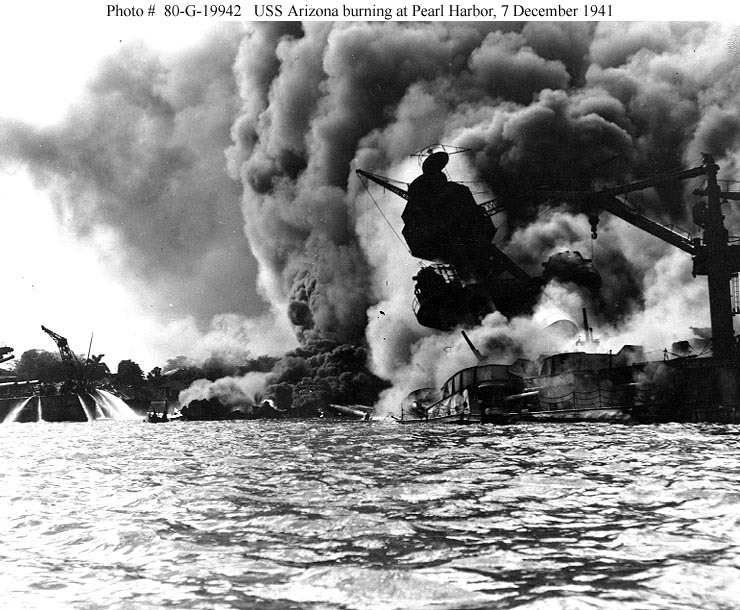 A definitive history of the Pearl Harbor attack is titled, “At Dawn We Slept.” That says it all. We slept on Dec. 7, 1941. We slept on Sept. 11, 2001. And to a great extent, we are still sleeping.